The first destination on our tour was Las Cabanas Beach Resort. I was used to seeing the long stretch of sand, clear waters, and coconut trees in El Nido but it was still worth looking at. The resort could be reached by motorbike, tricycle or private car. It wasn't supposed to be a part of the tour but it was still worth seeing. The journey to Hidden Beach took another 50 minutes to an hour but the wait was worth it. 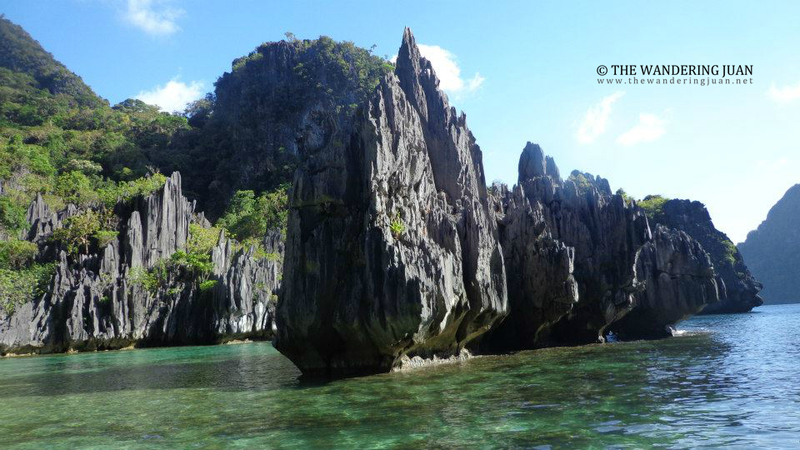 The jagged limestone rocks covered a small path that led to a secluded beach. The boatman managed to maneuver the boat through the narrow pathway. 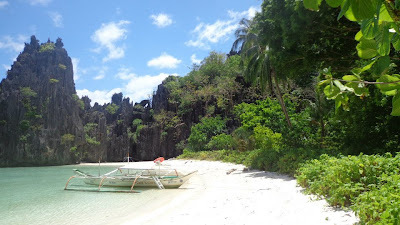 After a few minutes, I was mesmerized by the small secluded beach just behind the limestone formations. I kept hearing a song playing in my head but couldn't quite put my finger on it. There was something about Hidden Beach that seemed ethereal. We had Hidden Beach practically to ourselves since there was only one boat that arrived and only stopped for a short while. Hidden Beach quickly became one of my favorite spots in El Nido. You can camp here and stay the night because it is relatively safe and secluded. 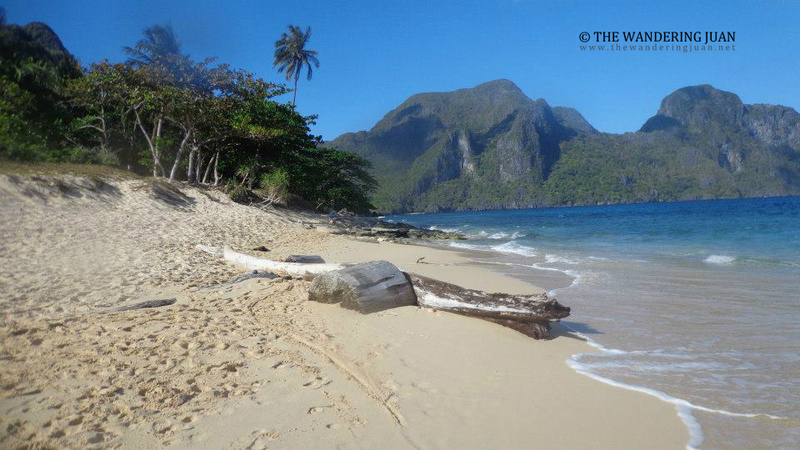 Talisay Beach was the next stop on Tour C. The soft sand and clear waters made the long trip worth it. Makinat Beach was identical to Talisay Beach. The large limestone formations created a delicate backdrop for the white sand and clear waters. Cadlao Lagoon was another sight to behold. 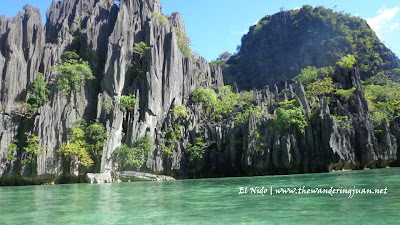 The green waters and jagged limestone formations created a beautiful contrast. 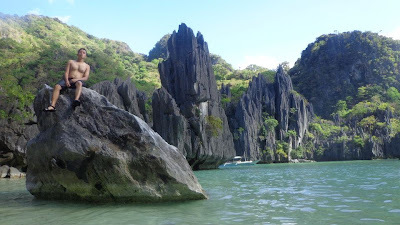 The scars of the limestone and the clear waters enthused the nature lover in me. It was nice to get to relax after a tiring trip to the different islands and lagoons in Tour C.
Our last stop took us to Helicopter Island, it was called that way because of the shape it took when seen from a distance. he long stretch of beach was the place where families, friends, and travelers get to relax. Our stay in El Nido came to an abrupt end right after Tour C because we had to catch the van going back to Puerto at 6PM. the pictures look really amazing! 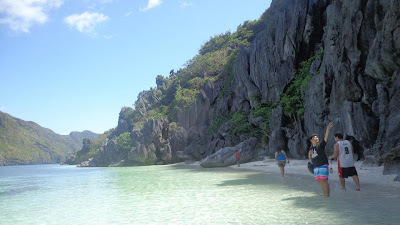 I am a certified water rat and love the beach and waters ;) someday I will get to visit El Nido :) Thanks for sharing your adventures. El Nido... Such a marvelous place! 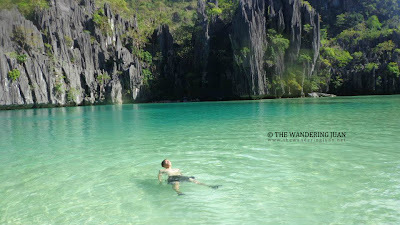 This is one of the best travel destinations in the Philippines! I like to do island hopping in El Nido too. The islands are really beautiful.. Words are really not enough to describe this paradise ...id been there and couldn't get enough of the place. 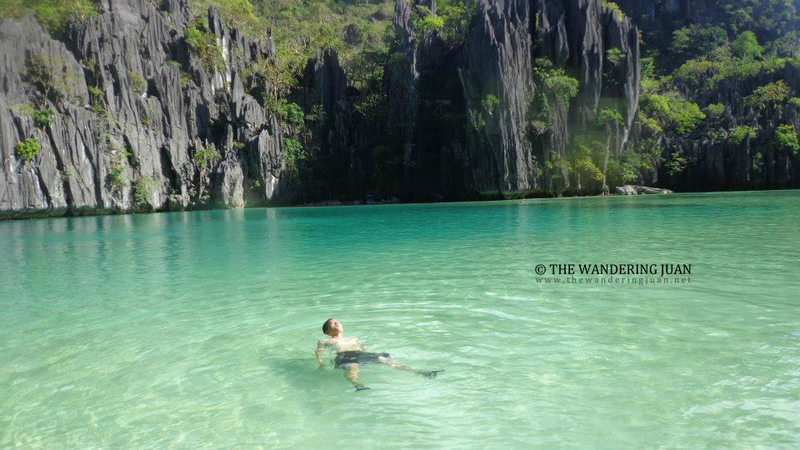 I'll surely return to El Nido. EL NIDO is a paradise... nature at its best... looks captivating and exciting place to visit and explore. Oh that looks lovely! The tour is offered where? 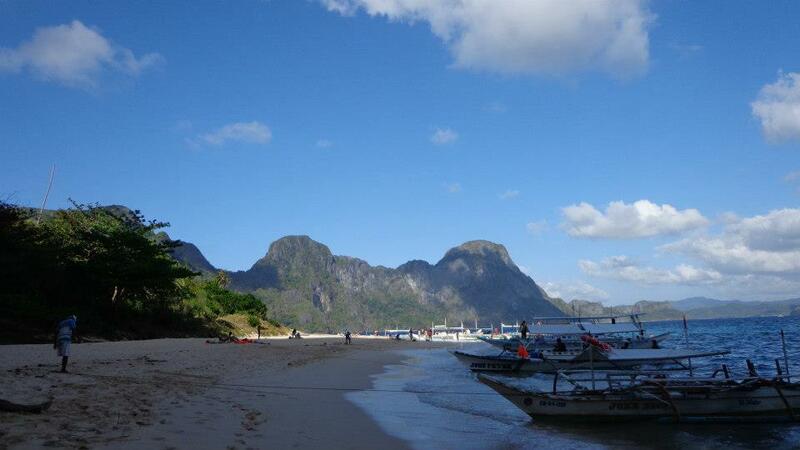 Wow I am so amaze of the beauty of El Nido. 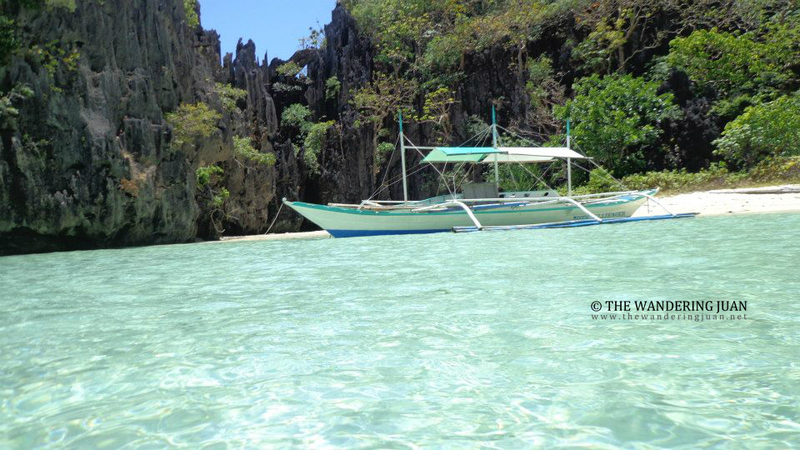 I will definitely go there after our Boracay Trip. 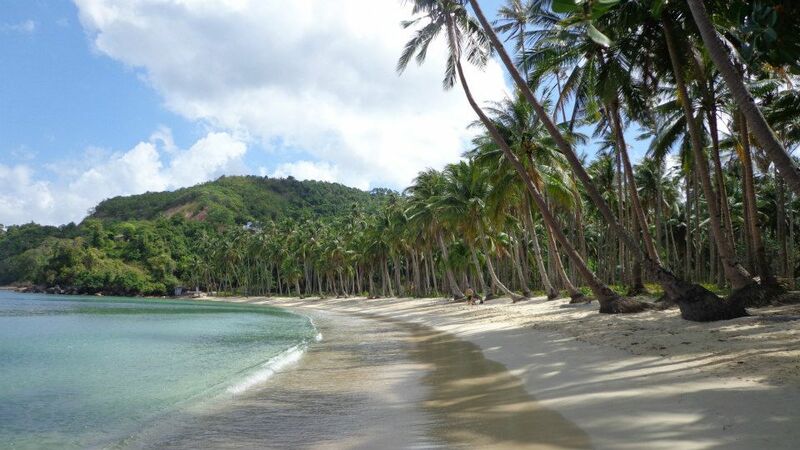 Philippines has really a lot of beautiful beaches that I haven't explore. Congrats that you got the chance. 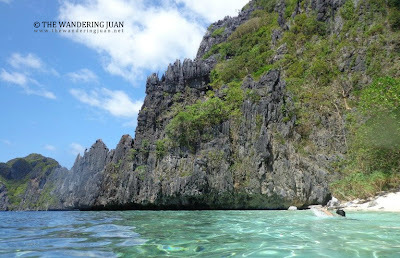 I was waiting for the secret beach..
Its one of the highlights of tour C in El Nido..
the experience is awesome as you swim or dive through a narrow gap in a rock wall and find yourself in an enclosed beach behind it. I missed snorkeling in Hidden beach, really beautiful with lots of anemones and clown fishes. Tours A and B are family friendly island destination, while Tours C and D are for the adventurous guest... that's why the boats used on the latter are smaller. 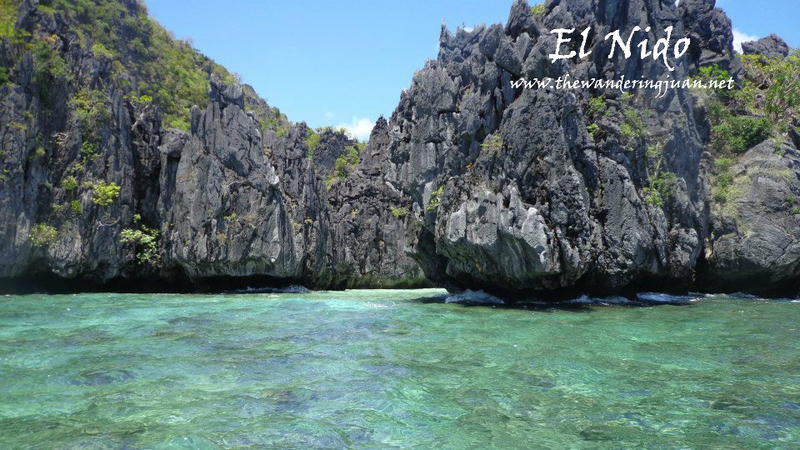 EL NIDO is really a wonder of nature. Great place to visit for locals and tourist. I hope that it won't become too commercialized like the other nature parks around. ang ganda talaga ng beach sa el nido... this is one of the places in my list... pics pa lang, just breathtaking. Yahweh bless. I haven't set foot in Palawan yet. And I so want to go!!! :D Nice shots you have! 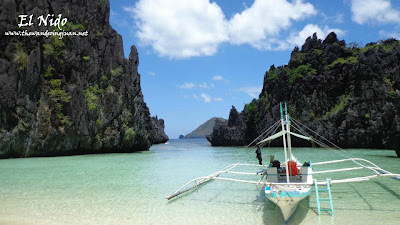 El Nido is really beautiful and I have yet to visit it after being in Puerto princesa and Coron in my previous visit. It should be my next stop when I get back to Palawan.